Going by the reports of TechRadar LG’s new flagship is going to be the G7 ThinQ. Well, the name might sound weird but the specs of the phone aren’t. TechRadar’s resources have sent them some shots of what might be LG’s new flagship. 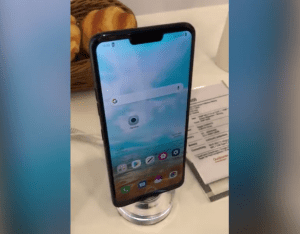 The shots reveal G7 ThinQ with the very controversial notch. Going by the pictures the notch will house the front shooter along with a led indicator for notifications. The leaked images suggest the new flagship is currently in the testing phase. 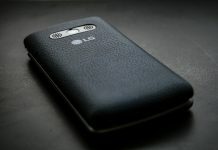 According to the reports the phone might be launched in May, carrying the model number LG-G710TM. LG was the first company after Xiaomi to launch an almost bezel-less phone back in 2017. Now, LG seems to have settled down on the notch just like other big names in the industry. This is going to be second big design decision from the company, moving from minimized bezels to a notch. With a lot of companies now moving toward the notch, it’s obviously getting clear that the notch is here to stay. The G7 ThinQ in the leaked images is packed in an irremovable case. This hints a power button on the right side whereas the left side could be sport a dedicated AI button as some leaks suggest. LG has been long working on introducing AI capabilities to its phone, which is the need of the hour indeed. Introducing a dedicated AI button will put LG’s efforts in the AI department of LG V30S ThinQ, to full use. How many customizable options will be supported by the extra button, is unknown as of now. The leaks suggest that LG new flagship will come with a Snapdragon 845 SoC coupled with 4 GB of RAM and 64 GB storage. While the specs are good but comparing it with the upcoming competition, they might not be good for long. The upcoming OnePlus 6 is expected to have Snapdragon 845 coupled with 8 GB of RAM and 256 GB storage. Well, the upcoming flagship already seems beaten up by the upcoming phones. But the benchmark scores of LG G7 ThinQ tell different stories altogether. With an AnTuTu Score of 252,473, the flagship stacks up as one of the world’s fastest phone. But the phone is running a pre-release software so we can expect some changes in the score when it finally arrives. 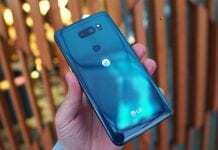 If the LG G7 ThinQ remains what it claims to be now when it is launched, we are going to see some serious competition.